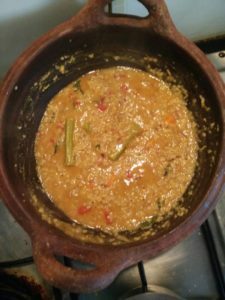 Add tamarind juice and boil well till raw smell goes and veggies get cooked, see to that the liquid level is jus little more than the quantity of dhal and veggies mixture as Aval does not need more water. Heat another kadai and add mustard once it crackles add fenugreek, Hing and curry leaves. Now add finely chopped onions and fry well. 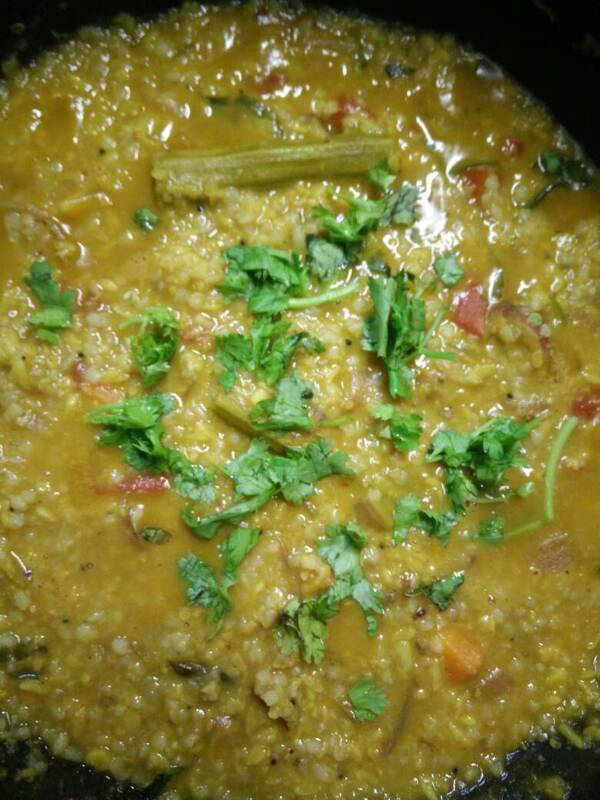 After onion changes colour add the sambar powder and fry for a min. Add this to the dhal mixture and stir well. This is a very good choice for add Bajra to our diet as it tastes jus like rice. Unless said no one can find that its Bajra/ Kambu dish. Can substitute any other Aval Poha variet instead of Kambu Aval.